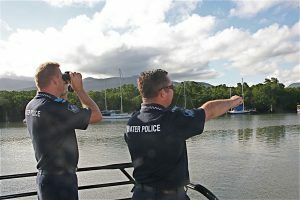 Water Police Cairns are reminding Far North boaties to have a communication plan with friends or relatives when they go boating. Some recent good weather has enabled a lot of boat owners to get out on the water throughout the region. On Sunday a concerned woman contacted Police to advise that her partner had gone fishing alone offshore from Cooktown on Saturday morning in a 4.6m dinghy and he was expected to return by 1pm that same day. When he failed to return by 11:30am on Sunday she reported him overdue to Police. Make a plan and tell a responsible person. Immediate concerns were held for the safety of the 43-year-old and Water Police commenced search planning involving the Queensland Government Air Rescue Helicopter, the Australian Maritime Safety Authority Challenger Jet Aircraft and the Cooktown Australian Volunteer Coast Guard. Thankfully during the planning phase of the search the male returned to shore safely. Police spoke to him and he advised he was not in any difficulty but had chosen to stay out fishing rather than return to shore at the time he had advised his partner. Water Police recommend that if you are going boating that you leave very clear information with a responsible person about where you are going and when you are due to return. Make sure that you keep to those arranged plans and if you change you only do so once you have contacted the responsible person. Valuable time and resources of Police, Volunteers and Rescue Organisations are often taken up due to boaties not making or keeping to plans about when they are returning and where they are going. Does someone know where you are going and when you are due back? Attempted armed robbery, Palm Cove: Police are investigating an armed robbery that occurred this morning at about 12:49am on Williams Esplanade in Palm Cove. It will be alleged a 26-year-old woman and a 38-year-old man from Little Mulgrave had just left a licenced premise and were walking along Williams Esplanade when they were followed and approached by an unknown woman. The unknown woman allegedly produced a knife and demanded money from the two, before stabbing the female victim three times in the arm. It will further be alleged the man restrained the woman until police arrived, however was bitten during the struggle. 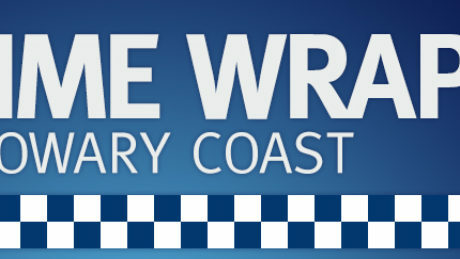 A 20-year-old Palm Cove woman is currently assisting police with their investigations. Fraud and drug offences, Cairns: A 50-year-old Mooroobool woman has been charged with multiple fraud and drug related offences. It will be alleged the woman received a stolen credit card in the early hours of Monday morning, and used it to make several purchases at an Alfred Street service station in Manunda and a Pease Street service station in Manoora. The woman was identified and located yesterday morning by police, wearing the same clothing as was observed in the CCTV footage from the offence location. She was taken into custody where it will be further alleged she was found in possession of a dangerous drug and utensil. She has been charged with four counts of fraud – dishonest application of property of another, and one count each of receiving tainted property, attempted fraud – dishonest application of property of another, possess dangerous drugs, possess utensils or pipes etc for use and possessing anything used in the commission of a crime. She will appear in the Cairns Magistrates Court on November 17. Detectives investigating the death of Donna Louise Steele north of Cooktown have released the image of a shoe which may have been worn by someone who can provide further details relating to her murder. Ms Steele’s body was found in Isabella Creek at Leggetts Crossing, about 20km north of Cooktown on August 6 this year. A man’s shoe has been located following the execution of a crime scene search warrant and has since been examined by forensic officers. 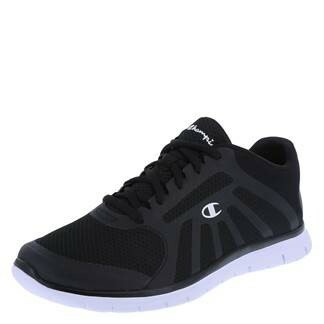 The shoe (similar to below) may have been worn by someone present at the time of the incident and is described as a black Champion Gusto men’s size 10 jogging shoe, with black laces and white rubber sole. Detective Acting Superintendent Geoff Marsh has appealed for the owner of the shoe or anyone who may have further information to come forward. “We would urge anyone who may have known someone who wore or had possession of a similar shoe in the Cooktown area around the time of Donna’s death to contact police,” Detective Acting Superintendent Marsh said. “We remain committed to resolving this case and bringing closure to Donna’s family and are seeking further public assistance in order to do this,” he said. Anyone with further information is asked to contact Policelink, Crime Stoppers or local police. Audio can be downloaded below of Detective Acting Superintendent Geoff Marsh providing media with an update in relation to the investigation. The Cairns Road Police Unit recently travelled to Bamaga for the Dan Ropeyarn Football Carnival. 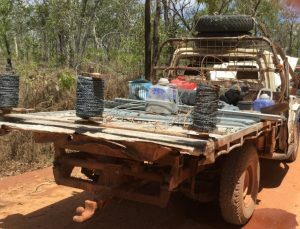 Whilst enroute for the carnival, at about 12:50pm on Tuesday October 24, they intercepted a ‘bull catcher’ style vehicle on the Peninsula Developmental Road, approximately 35 kilometres south of Coen. The driver of the vehicle, a 22-year-old man from Yarranden (south of Coen), returned a positive breath test and was questioned in relation to the vehicle. The man returned a breath alcohol reading of 0.260 BAC. He was charged with one count each of driving UIL, driving of a motor vehicle without a driver licence (disqualified by court order), vehicles used on roads must be registered, drive uninsured vehicle and vehicle not in safe condition. He will appear in the Weipa Magistrates Court on November 14. Good samaritan stung, Bentley Park: Police are investigating the stealing of a motor vehicle that occurred at 6pm last night on the Bruce Highway, between Progress and Swallow Road in Bentley Park. The informant, a 37-year-old Edmonton Man stopped on the side of the Highway after observing a traffic crash. He then left his vehicle and walked across the Highway to render assistance to the people involved in the crash. Whilst rendering assistance, the informant observed a passenger in one of the vehicles involved in the crash, walk to the side of the highway and get in his vehicle, before driving off in a southerly direction on the Bruce Highway. Police were immediately notified; however, the stolen red Holden Colorado could not be found. Police are appealing to motorists who may have driven through the area at the time of the crash that may have dash cam footage of the offender, to contact Edmonton police or Crimestoppers. Child related offence, Cairns: A 34-year-old Manunda woman was yesterday charged with one count of leaving a child under twelve unattended. It will be alleged the woman parked her vehicle on Sheridan Street in Cairns yesterday at 10am and left two children, a two-year-old girl and a three-year-old boy, in the vehicle for a prolonged period, unsupervised. It will further be alleged the woman left the vehicle running and locked the doors before leaving the area. Police were notified by a witnesses from a nearby business who had seen the children being left behind. The children were soon removed from the vehicle. Detectives are appealing for information from the public following investigations into the sexual assault of a 22-year-old woman in Cairns during the early hours of Sunday, October 22. Between 2.15am and 3am, the woman was assaulted in the Cairns CBD. To assist with the investigation, detectives are appealing for anyone with dash cam footage or information on persons walking in the area of Grafton Street, Spence Street and Lake Street during these times. The search for the four men still missing from the commercial fishing vessel Dianne has today been scaled back. Despite search efforts being scaled back, police will continue water, shoreline and inlet patrols daily. Last week, police divers finished clearing the wreckage of the commercial fishing vessel after it overturned in waters off the Town of 1770 on October 16. Police have consulted other agencies about the status of the search and have kept family members briefed about the latest developments. Details are still being broadcast to all vessels in the area and crews are being asked to report any debris or information to police. Two men located inside the vessel last week have formally been identified as 30-year-old Adam Hoffman and 45-year-old Ben Leahy. Police are working hard to ensure the families of Adam Bidner, Zachary Feeney, Chris Sammut, Eli Tonks, Adam Hoffman and Ben Leahy can get some measure of closure. Arrangements are currently being made with a number of agencies in relation to the recovery of the vessel, however this will take some time. Property offences, Earlville: Police are investigating a shop steal offence that occurred at an Earlville shopping complex yesterday afternoon. At about 3:25pm, two teenage males have entered a shop in the complex and stolen a cash register containing a sum of money. They fled on foot and were last seen heading in the direction of Mulgrave Road. The empty cash register was later located in a nearby drain near Mulgrave Road. Police are also investigating a shop stealing offence from a supermarket in the complex that occurred at about 10:45am on the same day, which may be linked to the same offenders. The teens are described as Aboriginal, with one being 18 to 19 years of age with a skinny build, wearing a black T-shirt and grey baseball cap and the second youth aged about 15 years of age, also with a skinny build, wearing a white T-shirt and black baseball cap. Police are appealing to anyone with information that may assist in identifying pair or anyone that may have been in the area at that time that could assist with investigations to contact Cairns Police or Crimestoppers. Property offences, Cairns: At about 12.15am on Saturday October 28, a Robson Street address in Mooroobool was the target of a burglary offence, which later saw the apprehension and arrest of three males. It will be alleged the offenders broke into the home while the occupants were sleeping. A 27-year-old man from Mooroobool who was staying at the address, woke-up and observed the offenders in the back yard, before they fled into a neighbouring yard. Police were called and the dog-squad deployed, with Police Dog Thor locating three males in Swallow Street, Mooroobool just before 1:30am. The three have been charged with a total of 20 property and vehicle related offences which stem from Innisfail to Palm Cove. An 18-year-old Innisfail man has been charged with two counts of burglary and commit indictable offence and one count each of driving of motor vehicle without a driver licence, receiving tainted property and unlawful use of motor vehicle. He will appear in the Cairns Magistrates Court this morning. 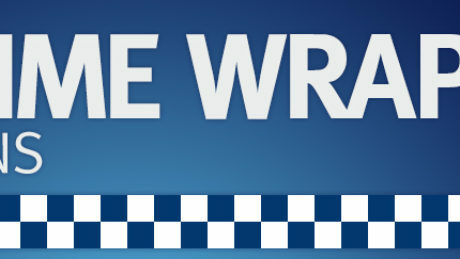 A 15-year-old Manoora boy has been charged with five counts of Burglary and commit indictable offence, three counts of unlawful use of motor vehicle, and one count each of driving without a driver licence, enter with intent by break at night in company, enter premises with intent to commit indictable offence and enter premises and commit indictable offence by break. A 15-year-old Westcourt boy has been charged with one count each of burglary and commit indictable offence, unlawful use of motor vehicle and driving of motor vehicle without a driver licence. Rescue, Crystal Cascades: At about 3pm on October 27, two overseas tourists became lost after hiking in the vicinity of the Crystal Cascades. The women, aged 24 and 28, and both from the USA, parked their vehicle at the end of the Redlynch Intake Road and began hiking towards what they believed to be the Crystal Cascades, before becoming disoriented and calling Triple Zero (000). At about 5pm, police attended the car park where they located their vehicle. Using a topographical mapping program on their smart phone, police were able to locate the trail the tourists had taken, and after a short hike located the two in thick bushland. The women, who were not injured, were escorted back to the car park. Vehicle Watch October 30, have you seen these stolen cars? 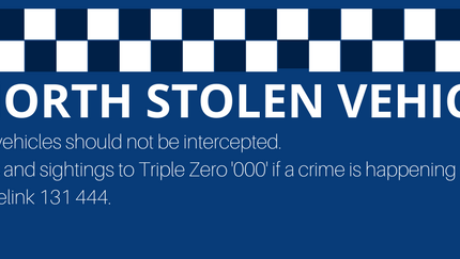 Police are seeking public assistance to help locate a number of vehicles stolen across the Far North in the past 28 days. So far this month there have been 63 vehicles stolen and 613 vehicles have been stolen since the start of the year. Vehicle owners are reminded to ensure that all valuables have been removed from their car, that the car is left locked and secured and that car keys are hidden out of plain view. For further information on vehicle click here and for home security information click here. These are the current outstanding stolen vehicles for the last 28 days.